When used responsibly, of course, credit cards are a positive symbol of one's commitment to good credit. 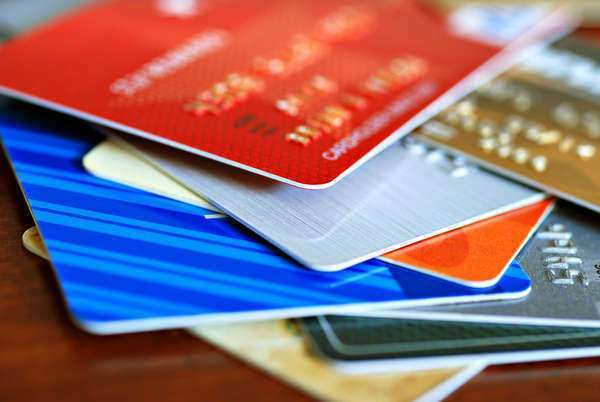 In fact, following a declaration of bankruptcy, credit cards can be a way of building up one's credit fairly quickly through evidence of timely, consistent monthly payments, though some cards will, imaginably, be hard to get immediately following the act of filing. However, though credit cards may be a fast way to build up a good credit track record, just the same, they may send a person into debt even faster, and may be one of the reasons someone files for bankruptcy in the first place. In short, credit card debt and bankruptcy, in the hands of the unsafe spender, are tailor-made for one another. In terms of general tips in the use of credit cards, the most common piece of advice in avoiding credit card bankruptcy is to keep a mind on one's charges every month, and for every credit card used at that. Unlike a debit card, with which a person deducts money from a bank account with a fixed total amount in the reserve, a credit card allows people to charge essentially as much as they want until they hit their credit limit on that card, also known as "maxing out". Especially when multiple credit cards are used in conjunction this way, credit card debt and bankruptcy are almost sure to follow. Concordantly, individuals who have troubles with credit card bankruptcy because of the above reasons are advised to limit their use of credit cards. In some desperate cases, holders may be urged to do away with credit cards altogether, as they are too much of a temptation otherwise. For others who are committed to having credit cards and being careful with them, it is suggested they carry, at most, three cards, and in the early going, perhaps just one in the form of an easy-to-secure card like a department store credit card. As it stands to reason, not only must a person create and maintain a budget for their spending as well as to simplify the state of their credit ownership, but they must be cautious enough to pay on time. One of the direct influences on credit card debt and bankruptcy, and one that likewise may go unconsidered by inexperienced credit card holders is the idea that creditors will exact "late fees" in the event monthly payments are not met. To be sure, specific late fees differ from lender to lender, but an added charge of $30 or more to the consumer is not unheard of. A one-time dip into the realm of delinquent payments is unlikely to land a person in credit card bankruptcy, but if these sums consistently add up, debts easily stand to get out of control. Another unfortunate aspect of credit cards, from the consumer's standpoint, and another reason using them is a slippery slope to credit card bankruptcy is that interest rates tend to be rather high on credit cards as opposed to other forms of credit. Often, as a risk of securing credit cards that are not difficult to obtain, high annual percentage rates (APRs) will be placed on one's credit balance, and when monthly payments are missed multiple times or even just once, these rates can skyrocket. A key measure in preventing credit card debt and bankruptcy, therefore, is to educate oneself about the nature of interest as well as to scrutinize a lender's terms when filling out a credit card application.